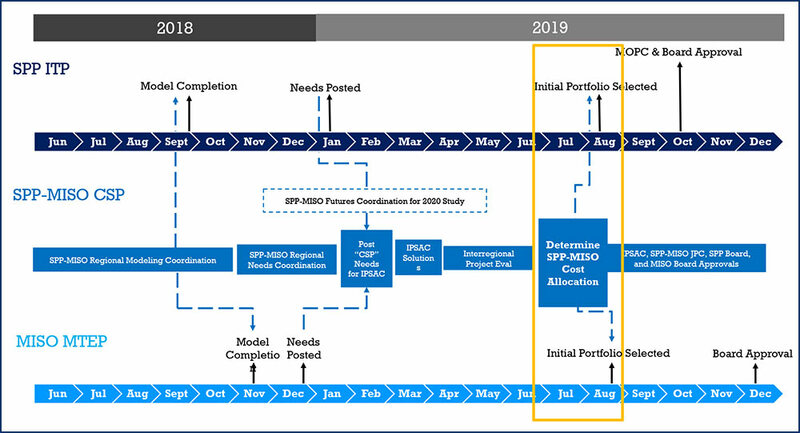 SPP staff last week told stakeholders that it will have to make decisions on potential interregional projects in the 2019/20 coordinated system plan (CSP) with MISO without knowing the results of MISO’s final approval process. Timing differences between the RTOs’ approval processes may result in SPP’s final CSP portfolio including an interregional project that assumes some level of cost sharing with MISO that is not eventually approved, SPP Interregional Coordinator Adam Bell said during the Seams Steering Committee’s Wednesday conference call. Bell said developing a single final portfolio that is the most optimal and cost-efficient for SPP keeps open potential cost sharing with MISO. 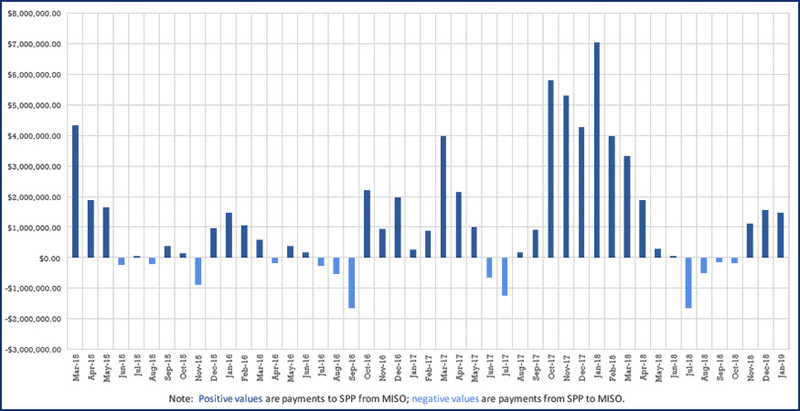 SPP recorded its third straight month of more than $1 million in market-to-market (M2M) payments in January, pushing distributions in its favor to $55.2 million. Permanent and temporary flowgates on the SPP-MISO seam were binding for 181 and 310 hours, respectively. That resulted in a $1.5 million distribution from MISO to SPP. The two RTOs began the M2M process in March 2015. Distributions have flowed in SPP’s direction 22 of the last 28 months.